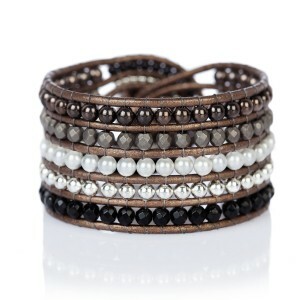 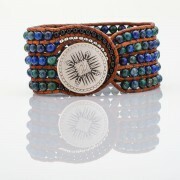 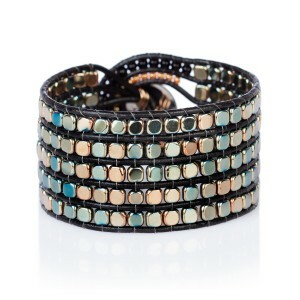 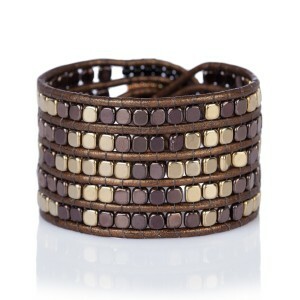 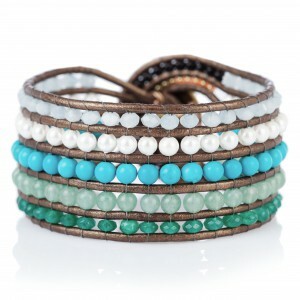 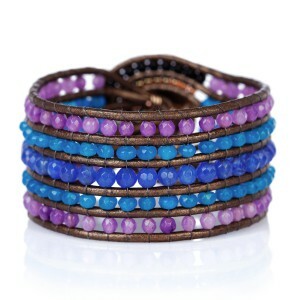 This bohemian style cuff bracelet is created with Azurite semi-precious stones in a cobalt green shade. 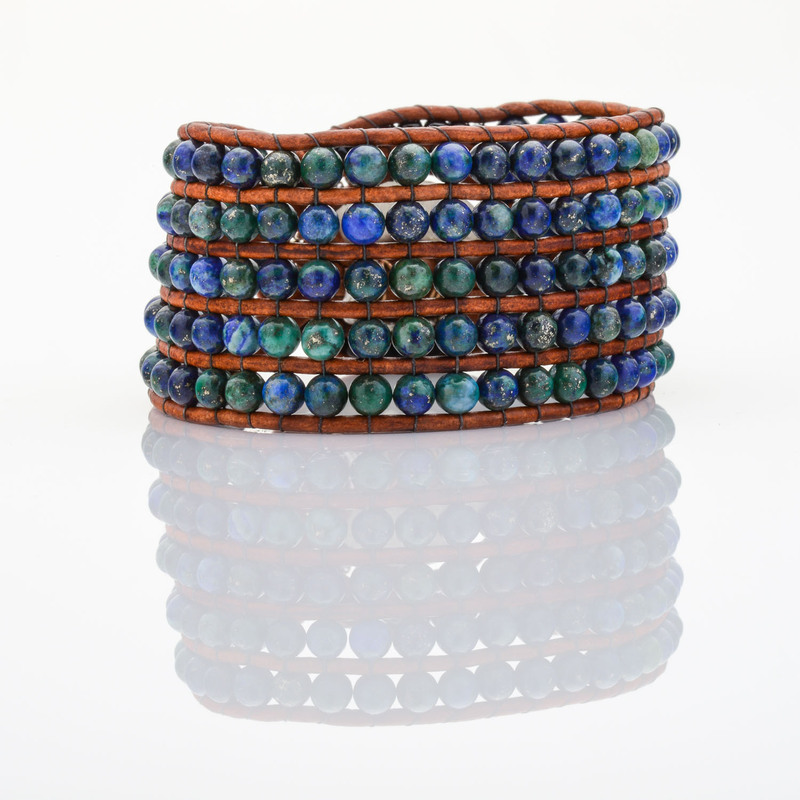 Azurite is a rare variety of gemstone quality copper ore. Azurite gets its name from the Persian word 'lazhward', which refers to its distinctive, vivid blue color. 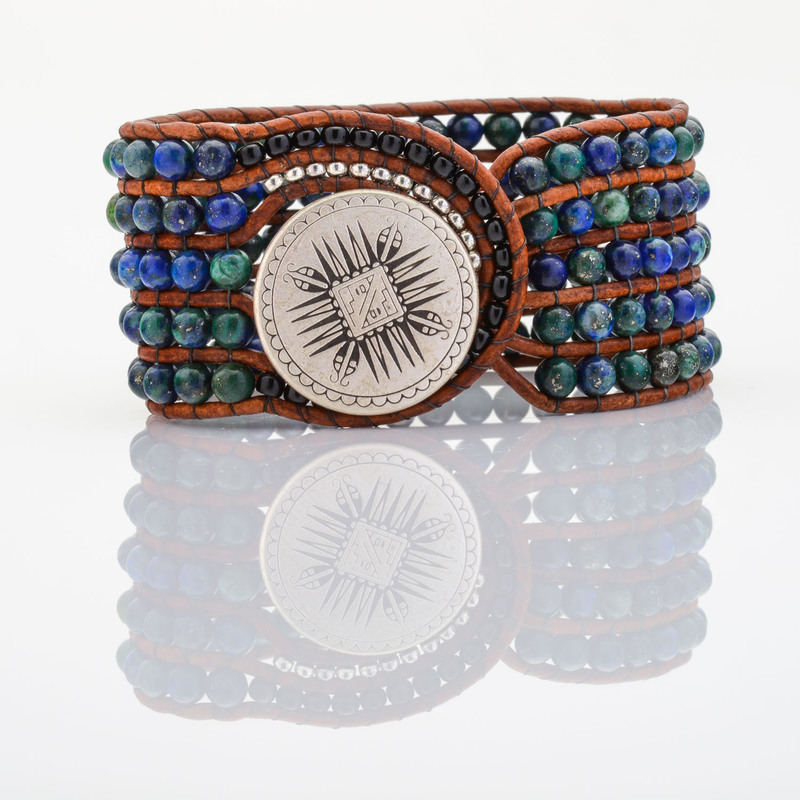 Metaphysically, Azurite is referred to as the 'stone of heaven'. 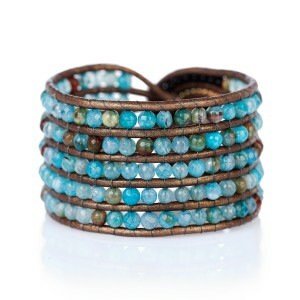 It is an excellent stone when used for meditation.